A man has been jailed for four years for a botched robbery attempt that left him and a woman with serious burns. 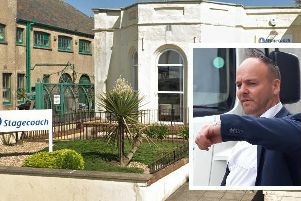 Mark Leadbeatter, 53, of The Spinney, Pulborough, was sentenced at Hove Trial Centre on Friday (October 2). He had pleaded guilty to robbery.